Adelaide band & Crowd Favourite ‘Generator’ are back for the 2018 Sea & Vines at Bent Creek to rock you all day and get you up dancing to 80’s, 90’s and 00’s classics. Urban Lights will satisfy your hunger with Wood Fired Seafood & Gourmet Pizza, Breads & Grazing Plates. On the wine list, our Bent Creek Range with Moscato, Sauvignon Blanc, Rose, Sparkling Pinot Noir & Shiraz, Cabernet Sauvignon, Grenache and Black Dog Shiraz. Urban Lights Wood Fired Seafood & Gourmet Pizza, Breads & Grazing Plates. Vegetarian, vegan and gluten free options available. Bring the family and relax to acoustic music by award winning artist Ben Ford-Davies. Satisfy the family with Cheeseplatters, Grazing Plates and Gourmet Pizza. Giant Jenga, Bocce, endless Games & plenty of Free Kids Entertainment all day. Gluten Free, Vegetarian & Vegan options catered for. You won’t be short for choice with our Bent Creek Range: Moscato, Sauvignon Blanc, Rose, Adelady Sparkling Pinot Noir & Shiraz, Cabernet Sauvignon, Grenache and Black Dog Shiraz on the list. Urban Lights Wood Fired Seafood & Gourmet Pizza, Breads & Grazing Plates. Cheese Platters showcasing local produce, specialty desserts & locally ground coffee. Kiddies catered for. Award winning acoustic Artist Ben Ford-Davies. Tickets are $150 and even include food, beverages and bus transfer to and from the event! Celebrating its 25th Anniversary in 2017, the McLaren Vale Sea & Vines Festival revels in the culinary and winemaking traditions of our world class food and wine destination and we’re excited to be a part of this years festival. 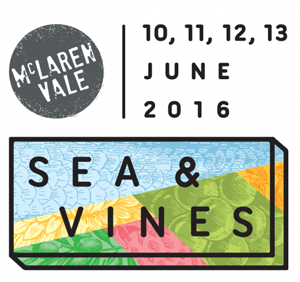 Head to the McLaren Vale Sea & Vines 2017 official website for more info. Join us for a glass of our finest whilst enjoying the casual cuisine created by Exec. Chef Pepe Reyes savoury and sensuous. Catch up with the girls from ADELADY and share a bottle or two of our new ADELADY Sparkling whilst rocking on to award winning vibes by Ben Ford-Davies throughout the day. With Giant Jenga, Bocce and other activities for the big and little kids alike, its sure to be a feast for the sense at Bent Creek Vineyards!! 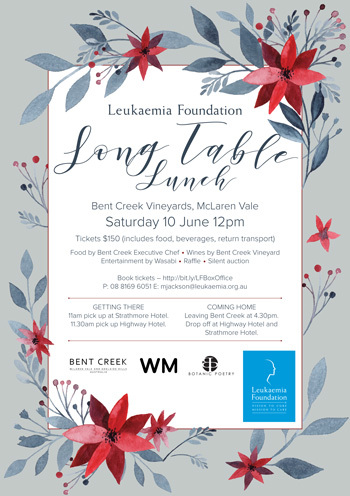 What better way to spend a long weekend than with good food, good wine and good friends for a good cause. 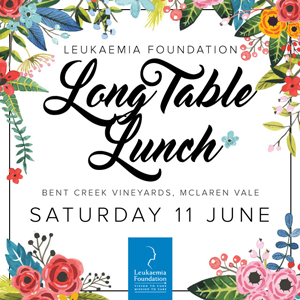 Come along to the Leukaemia Foundation Long Table Lunch on Saturday June 11 for an amazing day of food, wine and entertainment. Tickets are $150 and even include a bus to and from the event! Let us whisk you away up to the beautiful McLaren Vale on a private bus, leaving at 11.30am from The Cremorne Hotel, Unley. After you’ve spent an amazing day eating, drinking and being merry, we’ll bring you back home, leaving Bent Creek at 4.30pm and returning to the Cremone Hotel around 5pm. 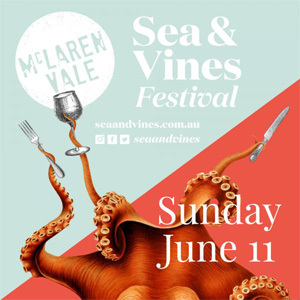 In it’s 24th year, the McLaren Vale Sea & Vines Festival boasts the winemaking and culinary tradition of a world-class food and wine mecca with a beach lifestyle! Book Here at McLaren Vale Sea and Vines website. No bookings required – Purchase a Plumm Vintage outdoor glass to gain entry.